Fronius hybrid inverters come in a range of sizes from 3kW – 5kW to suit many applications. Their range of Symo hybrids are 3 phase meaning they are perfect for small businesses and larger homes that require battery storage. 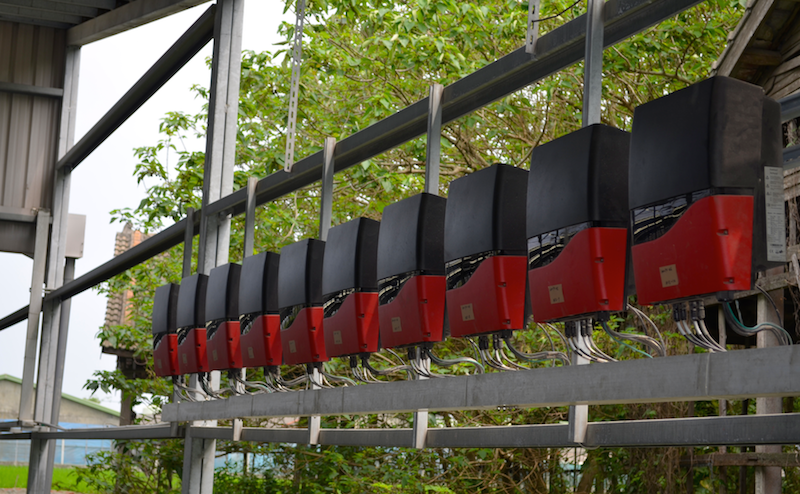 These hybrid inverters can be AC or DC coupled with or without emergency backup capabilities to suit any new or existing installation. When charging the batteries from solar there is no DC-AC-DC conversion process meaning the charging efficiency is optmised. Fronius hybrid inverters range are the most comprehensive three phase battery solution available in the market. With a built-in web server all Fronius hybrid inverters come with monitoring capabilities out of the box and can be connected to wifi or hardwired. Using Fronius’ own Solar.web interface all current and historical generation information is available. Fronius also offer a smart meter that expands the monitoring capabilities to include consumption information. This gives a comprehensive overview of usage patterns allowing the owner to identify potential energy saving methods and maximise solar consumption. It also allows for detailed information when sizing up a suitable battery bank. 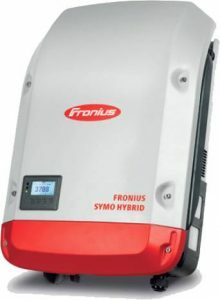 The solar meter for Fronius hybrid inverters also allows for fast control of export to comply with distributor’s limited or zero export requirements throughout Australia. With Class 1 accuracy this is the easiest and most cost effective export limitation configuration on the market. For more information about the solar meter and other Fronius accessories please check out our range of monitoring accessories. Datasheets for all Fronius hybrid inverters are available in our Downloads Section.